Last year, a documentary was aired on one of the big Dutch television channels, called ‚Sta Op en Loop‘ (get up and walk). When I stumbled upon it later, online, the two words 'Exoskeleton' and 'TU Delft' made me go and watch it. It shows a student team building an exoskeleton for someone who can't walk anymore due to a paraplegia. The documentary also really zooms into the life of Claudia, the one for whom the exoskeleton is build. It really showed me what it actually means having paraplegia, and not being able to walk. This scene was one of the reasons why, when the opportunity arised, I joined the team building the exoskeleton: Project MARCH. 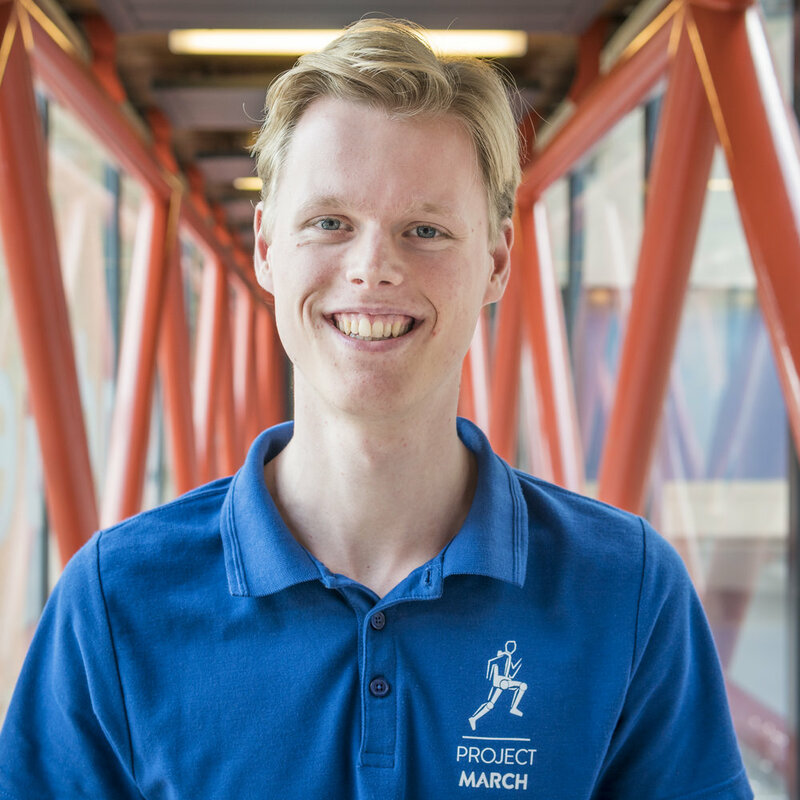 I think it is amazing being able to contribute to building something that may really have an impact on someone's life, being able to work on something that from a technological point of view is absolutely fascinating and not only that, but also being able to be part of a team that has just one goal this year: march! As a previous BSc. Electrical Engineering student, I am, together with two colleagues, responsible for the Electrical part of this goal. To this end we'll be building, designing and putting together the electronics that can safely and reliably supply the exoskeleton with power, monitor the conditions of the exoskeleton using all sorts of sensors and finally: built the electronic hardware that allows the user of the exoskeleton to control it.